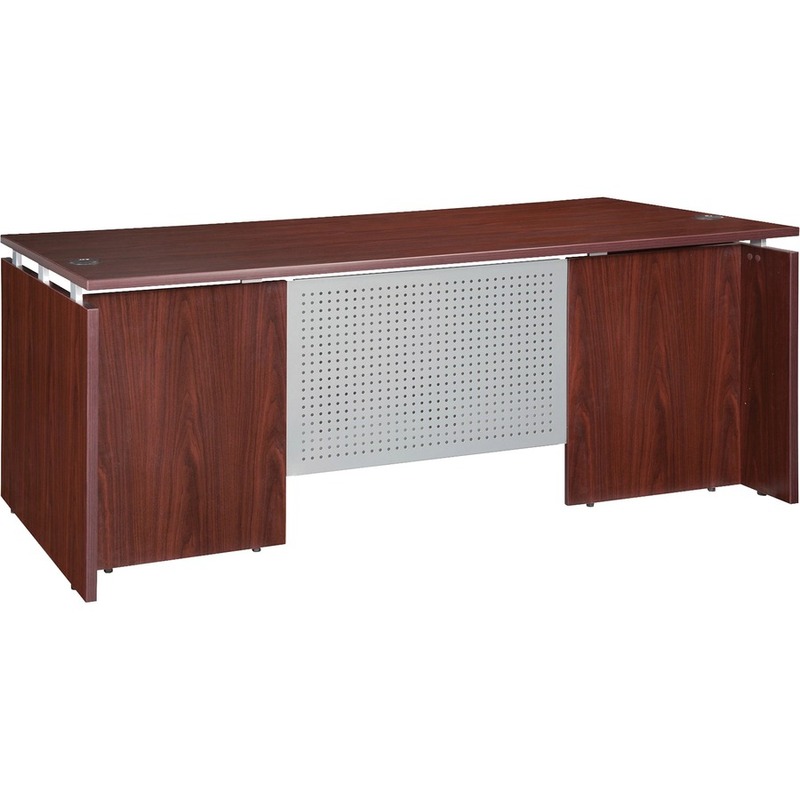 Rectangular desk shell is part of the Lorell 68600 Series Laminate Furniture with contemporary-style laminate and raised floating tops. Mahogany laminate top and side panels are 1" thick for durability as well as stain-resistant and scratch-resistant. The top is supported by aluminum brackets to provide the floating top look. Use the two grommet holes in the top for easy cord routing. The recessed, metal modesty panel on the desk is punched and silvery-gray, powder-coat finish. Design also includes a 3/4 modesty panel, 3mm PVC edges (color-matched) and adjustable floor glides for stabilization.